Introducing perhaps the most comprehensive line of conveyor belts in the world, quality engineered to meet a variety of everyday applications, or specially engineered to your specifications. 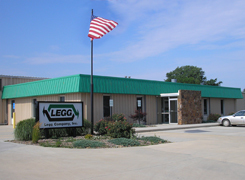 LEGG belting products are the result of a commitment to excellence and a dedication to quality that runs deep. Our legacy speaks for itself – since 1939: LEGG has been serving the needs of a variety of industries by providing more than products. Our industrial belts are as diverse as the challenging applications inherent to the industrial sector. All our products share one characteristic: extraordinary durability. LEGG’s comprehensive range of durable agricultural belts helps minimize down times to make sure the harvest is complete on time every time. The LEGG conveyor belt line continues the promise to bring quality-engineered solutions that meet the needs of every customer, in every application.